Welcome to the Southwest's premier vacation destination - Scottsdale, Arizona. In a single Scottsdale day you can test your mettle (and metal) on one of our award-winning golf courses, experience the harmonious blending of architecture and environment at Taliesin West, and soak up the sun next to a liquid turquoise pool. Looking for more? How about an edge-of-your-seat off-road tour, a marathon shopping excursion or a pampering spa treatment based on ancient Native American healing techniques? And, if you'd like to experience all of Arizona but only want to unpack once, Scottsdale is the perfect hub from which to explore the rest of the Grand Canyon state. 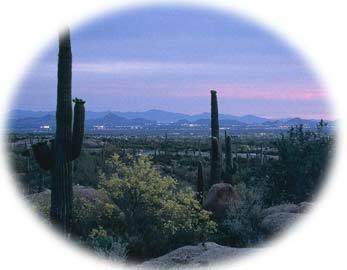 Located in central Arizona in the heart of the lush Sonoran Desert, this unique setting provides Scottsdale with a whole host of benefits including breathtaking scenic vistas, an abundance of outdoor recreation options, and indigo skies that glow with more than 330 days of sunshine each year. Fiddlesticks Family Fun Parks are great fun for everyone! Located in Scottsdale and Tempe, both parks feature Go-Karts, Bumper Boats, Batting Cages, Mini-Golf, Arcade, Kiddie Rides, pizza, snacks & more!